In the article, I included two poems that speak from a mother’s perspective, one by Camargo fellow Bonnie Bolling, who has four boys; and the other poem about having breakfast en plein air with my four kids one Mother’s Day. “Mother’s Day Breakfast” is from my book Words for House Story. Here’s a link to the article at delawareonline.com: http://www.delawareonline.com/story/life/2014/05/10/mom-ever-alone-mothers-day/8904013/. 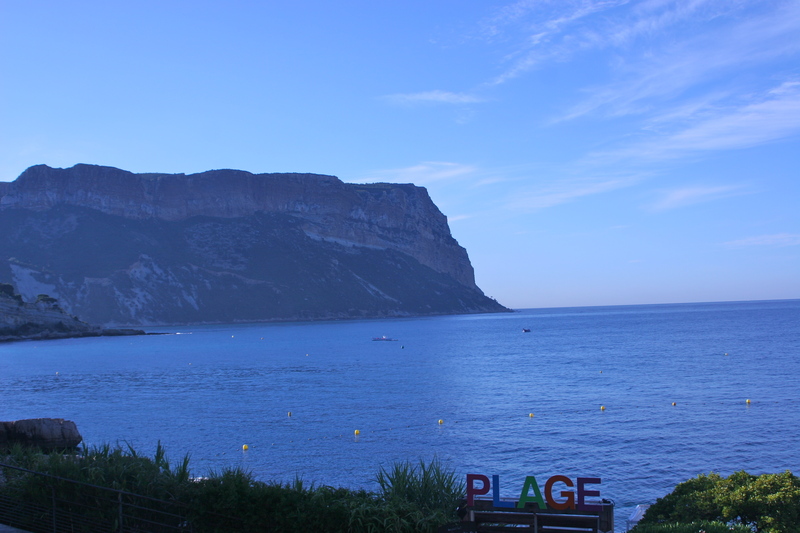 Now I am back in Delaware reflecting on the nature of the magic that weaves through Cassis, the wind up on Cap Canaille (I will post about the hike I took with friends up that iconic mountain) and the famous calanques. 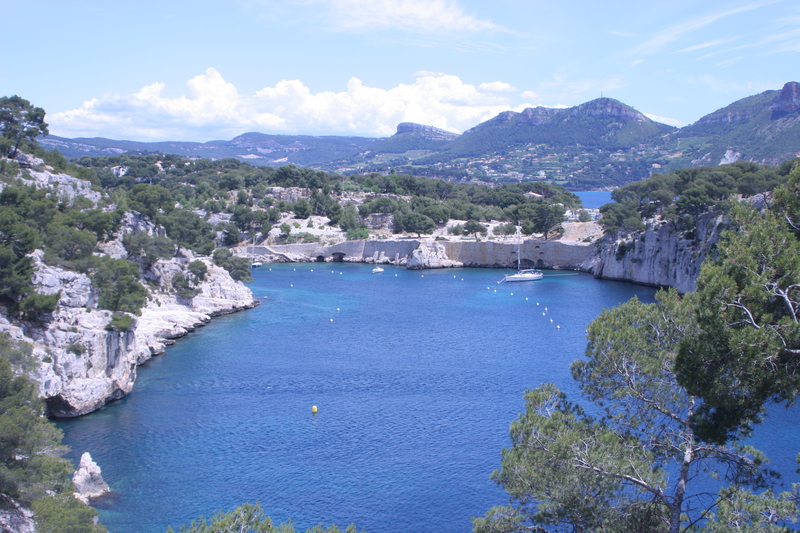 For me Cassis’s magic was water, salt sea and underground rivers, elemental, encompassing, enlightening, nourishing. 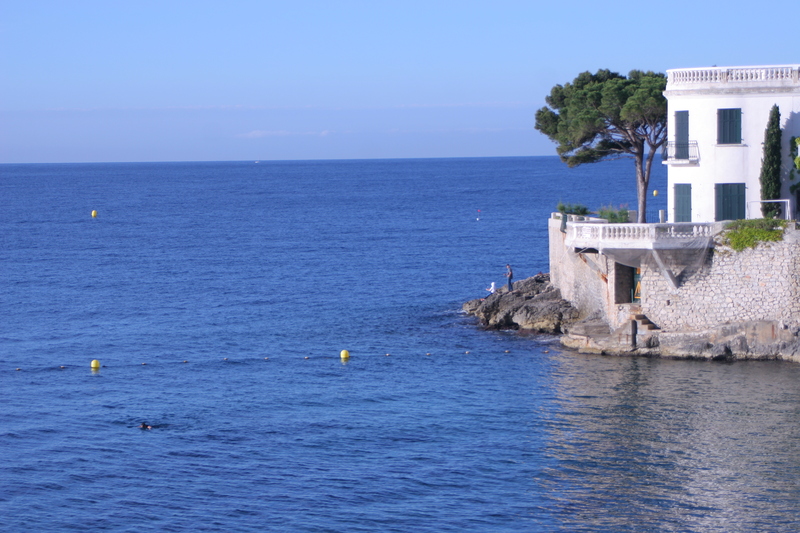 Everywhere in and around Cassis one feels water’s presence. Water lifts the body and the spirits. 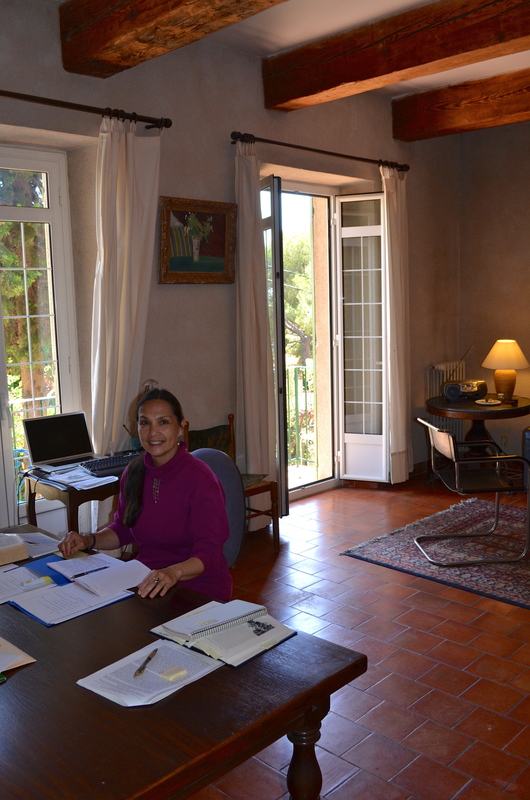 Even the view of the towering massif, the first thing I would see out my window each morning, sometimes beaming its colors across the bay, sometimes shrouded in a silver stoll, was all about la mer, la mère.